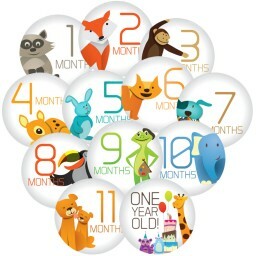 Baby milestones photo stickers for the baby's growth milestones. Different size packs and colors to choose from! 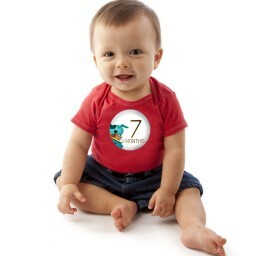 It is a unique way to mark those milestones and a great gift for a baby shower. Stick onto any clothing and Ta-Da! you are ready for that special moment picture! After taking the picture you can even stick it in our Baby Steps Book or anywhere else for keepsake. 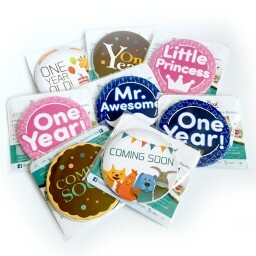 Each monthly sticker diameter is approx 3.25'' and printed on high quality Semi-Gloss coated, sticker paper. • 3.25" Stickers for a BOY or GIRL. Just Stick and Snap a photo! GREAT BABY SHOWER GIFT & a must for SCRAPBOOKING, baby Books or journals, Photo Books, Great keepsakes to remember your baby's milestones• MADE IN THE USA! GLARE REDUCING TREATMENT Printed on Semi-Gloss, coated, white quality paper. Smudge, water and scratch resistant.100% SATISFACTION! (If you don't like it return it for a full refund). 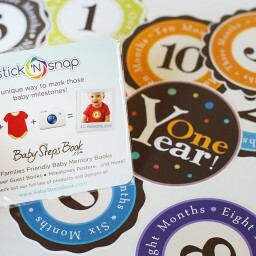 Stick'Nsnap(TM) "Happy Animals" Gray 12 Milestones Monthly Growth Stickers tinyurl.com/qx2uh2k #sticknsnap A Must Have for new Moms!